This may be a very bad idea for me to be doing, gah! Be sure to watch the headtube length. I like a lot of stack but to get a bike long enough resulted in a really long headtube. You may have to chop the headtube. Sure that is someone's custom. I just like the art, a lot. Another: Left Huge to see nuance of the art. Pegoretti used tall head tubes. But he built to traditional standards. He maintained a standover height for a given size, horizontal top tube, and extended the head tube to make up for the additional height a quill stem would afford you. Definitely check the head tube length on a Pegoretti, and any bike you buy. I think you'll find the Pegoretti within norms for a given size. And if you have the cash, buy one. I owned a Pegoretti once. I've had over a hundred bikes go through my collection, some of them pretty special, and the only one I regret selling is my Pegoretti. I tried to buy it back from the guy I sold it to. 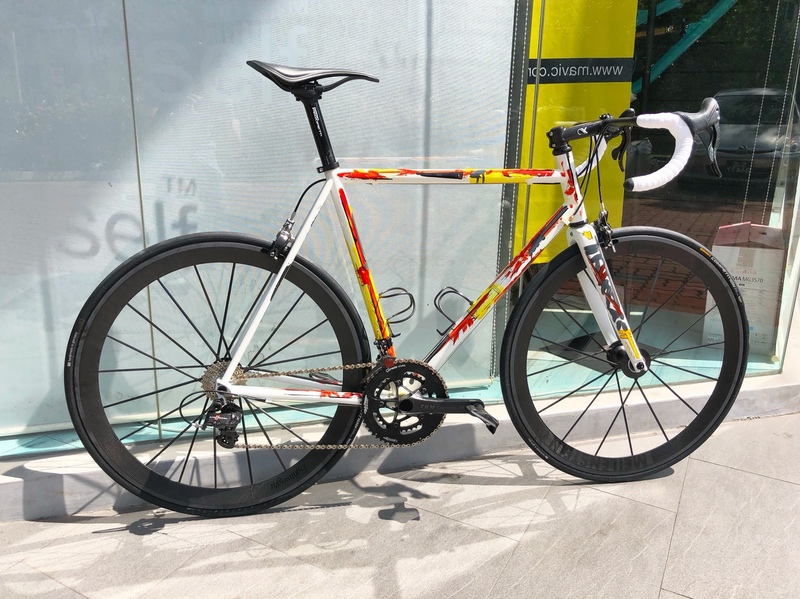 I even offered him a Record Colnago Extreme C direct trade for it (Pegoretti Fina Estampa frameset retailed for about $2000 less than the Extreme C, and the Peg has 10spd Centaur on it vs. Record on the Colnago) and he refused. He's ridden it. He knows. 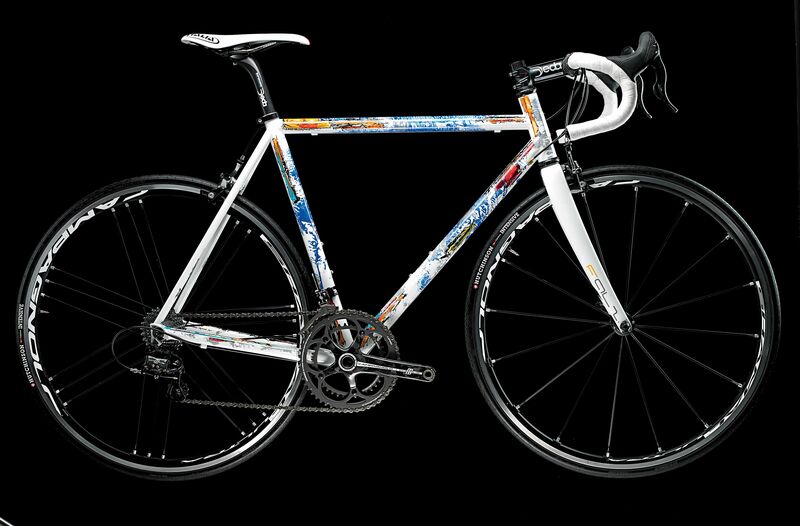 The Spectrum Super may well be 'one of those' bikes. I know i am in the honeymoon phase... I also dont know how much credit for how i feel on it to having 30 lb less 'me' spinning the pedals on it. I ended my 46 mile ride yesterday with over 20 miles in big ring, last 20. I do not recall seing a bike back in the house sitting in the big ring for a long time. I see a lot of Spectrums on the inet with the exrended HT, and other customs as well. The spec sheet/pdf Tom Kellogg show 1CM HT extension. Only ride it on beautiful days and it rides like a dream. There is a high end bike shop here that has quite a few in inventory. The fancier paint schemes are $9,000.00.